Newborn sessions are amazing because no two are alike. Just like there is no other baby like yours, her session will be different from any one I’ve done before. I like to tell my clients that we are documenting exactly who your baby is on the day of the shoot. There is no right or wrong way for them to be. They are perfection exactly as they are. Sleepy, alert, content, crying, perfection. Newborn sessions are a beautiful time set aside to capture all the love that your new family has for each other. 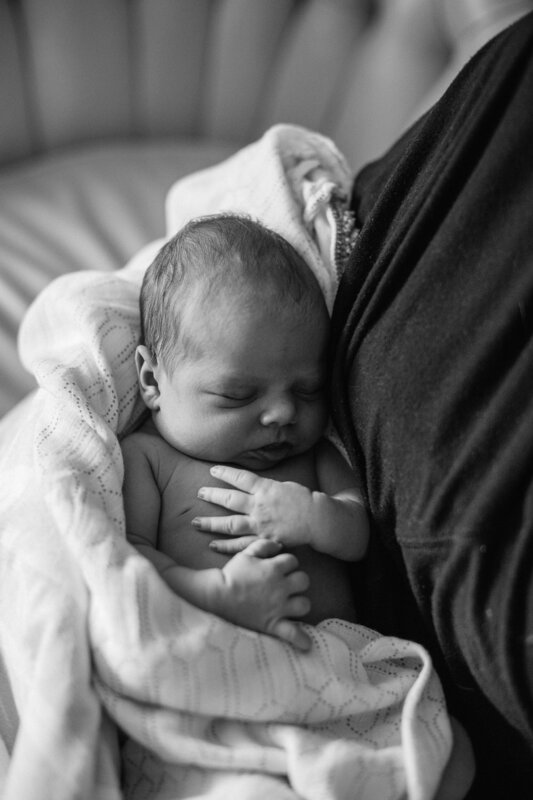 The babies get to dictate how things go for the most part, but there’s always lots of time for snuggles and capturing all the sweet details that make your baby unique. Oh, how I wish I had images of myself like this when I was first born. I’d love to create treasures for your little one to look back on when they are grown.